German festive atmosphere and spirit once again came alive at Oktoberfest Vietnam 2017, as the largest German cultural event of the year celebrated its 25 th anniversary. 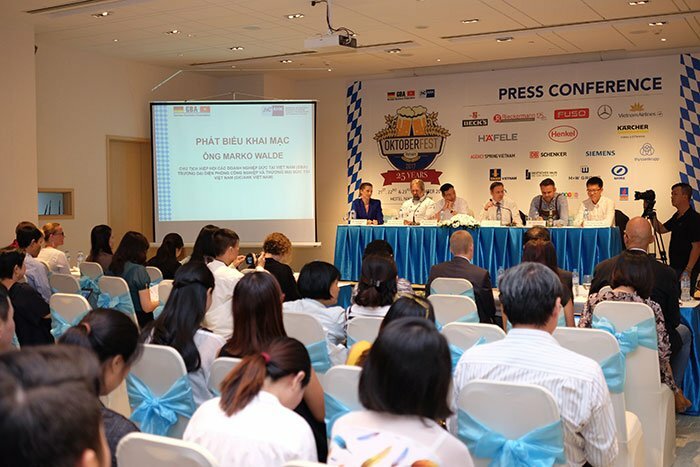 Held in Ho Chi Minh City on September 21-23, the event offered participants extraordinary experiences with free flows of authentic beer, foods, music, and many more fun games that defined the original Oktoberfest in Munich. A similar event was scheduled for taking place in Hanoi on October 5-7. Häfele Vietnam is proud to continue our sponsorship for such a remarkable event that not only gives Vietnamese people insights into German culture, but serves as a delightful get-together of German, Vietnamese and international business communities. The event was co-hosted by the German Businesses Association and the Delegate of German Industry and Commence in Vietnam.